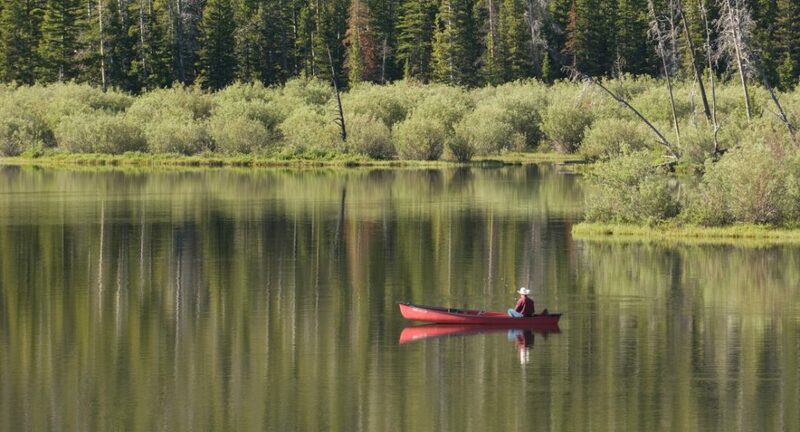 Wyoming’s Wind River Country is expansive, diverse, and uncrowded. With more than 5 million acres of public land in the form of forests, mountains, lakes, prairies and colorful desert, it’s easy to pioneer your own adventure in this breathtaking part of the American West. View wildlife in their natural habitat or backpack deep into glacial mountains without crossing paths with another human. Summit a 12,000-foot peak in the renowned Cirque of the Towers, paddle rapids down the dramatic Wind River Canyon, and try your luck fishing the high-alpine lakes and streams. Ride your bike in river canyons, atop slick rock, or over feet of snow. 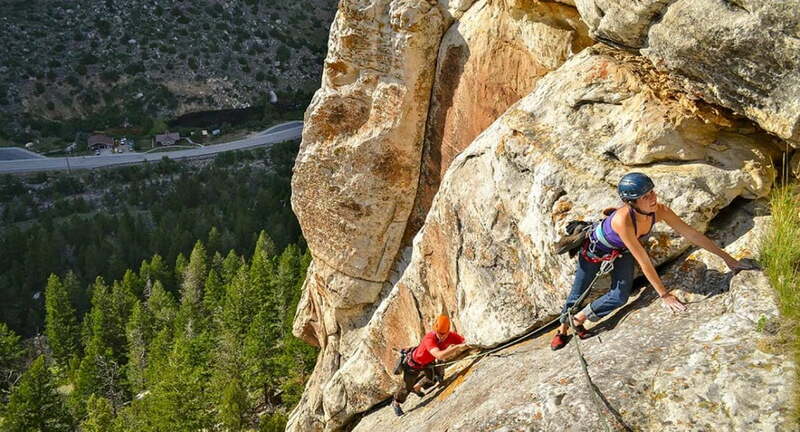 Climb a limestone wall just a few miles from town or saddle up and put as many miles between you and civilization as you can. Walk through history along wagon trails and among the historically inspired names of our peaks and lakes. Unplug into heart-opening sunsets, seamless and unpolluted night skies, and the pristine quiet that makes you feel like no place or moment matters but this one. The book “Wild” has been done, perhaps even overdone. 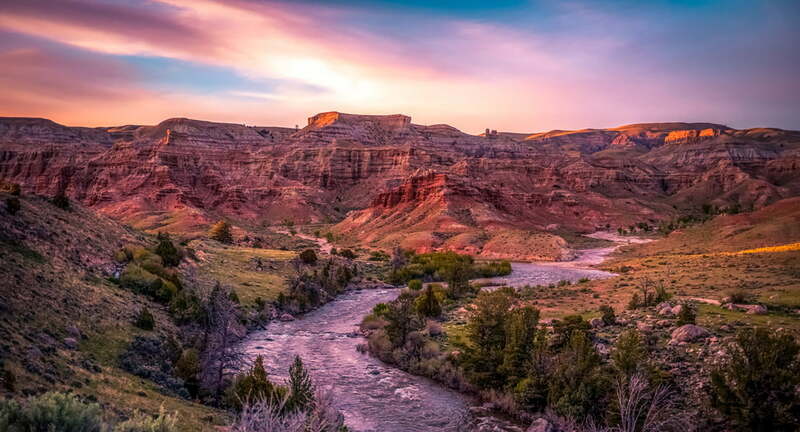 But those who crave a true escape, the chance to explore expansive landscapes and perhaps discover a bit about themselves in the process will count themselves fortunate to find themselves in Wyoming’s Wind River Country. 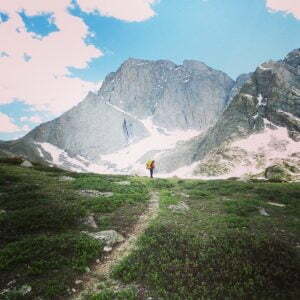 Home to the Pacific Crest Trail’s rugged and quiet sister, the Continental Divide Trail (CDT), the Absaroka and Wind River Mountain Ranges are yours to call home as long as you need. The backcountry of Wind River Country, whether viewed on a thru-hike or on a day hike from the outskirts of town, is pristine, dramatic, and beautiful nearly beyond words. Sinks Canyon State Park, named for its disappearing river, is an uncrowded wonder of the world. The Middle Fork of the Popo Agie flows underground into a great limestone cavern called the Sinks only to bubble up into a calm pool a quarter mile downstream at the Rise. The park, which has earned Trip Advisor Certificates of Excellence for several years in a row, is also a great place for hiking, trail running, climbing, biking, and picnicking or camping. Keep an eye out for the plethora of wildlife species that live here. Sinks Canyon itself continues past the borders of the state park and into Shoshone National Forest, America’s first National Forest. Sample the countless miles of trails that explore the canyon and beyond, deep into the Wind River Mountains. Dip your toes into the refreshing and bitterly cold lakes that decorate your map so thoroughly, or maybe endeavor to catch a fish in an intricate stream while staying dry! Though people have a tendency to classify ourselves as being drawn to mountains, deserts or large bodies of water, Wind River Country isn’t content with being defined as strictly a mountain destination. When standing at one end of this reservoir, you cannot see the other end, giving this lovely pool an ocean-like feel. Boysen Reservoir’s setting is a stark and beautiful juxtaposition of desert and deep blue water, meaning it should be explored on foot, on bike, by boat, by floaty, even by car. This high-mountain desert (formerly an ocean) stretches across 6 million acres, making it the largest unfenced area left in the lower 48. Explore bizarre land formations from eons ago and seek out the teeny, dinosaur-like horned toad. 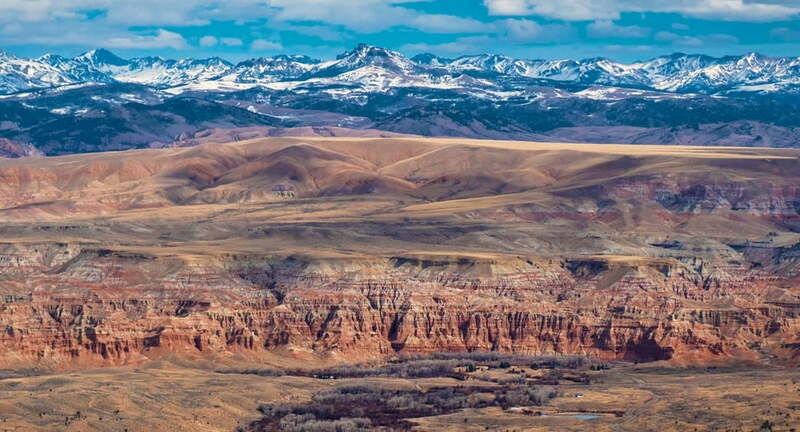 Perhaps the best way to first explore this endless, timeless landscape is on a guided tour of the Honeycomb Buttes with the Wyoming Outdoor Council. You’ll learn about natural and human history and explore what used to be an ocean floor where “resident tortoises were once the size of Subarus and horses were the size of house cats.” Near the Honeycomb Badlands, you will also find the Oregon Buttes. They are guarded by a steep uphill scramble through fossil-laden cliff bands, and the massive views from the top are worth it. Be sure to check the Bureau of Land Management, Forest Service, Game and Fish Department, or State Lands Board regulations and maps to ensure you’re following regulations and boundaries set in place for the safety of you, your party, and the flora and fauna that also call these wild and wonderful places home. And then enjoy.